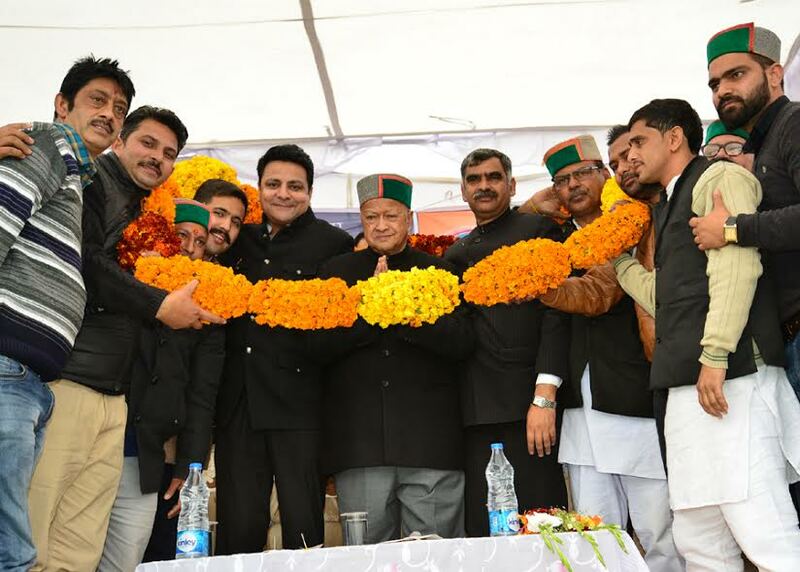 Kangra: A massive show of strength was witnessed today at a ‘Samaan Rally’ organised at Matour in Kangra Assembly constituency represented by MLA Shri Pawan Kajal to thank Chief Minister Shri Virbhadra Singh for declaring Dharamshala as the second capital of the State. The Chief Minister on this occasion announced a government degree college at Matour and IPH division at Kangra. He announced to give district level status to Dussehra fair of Kangra and upgradation of PHC Tiara to Community Health Centre. On the issue of second capital at Dharamshala, the Chief Minister said that the State BJP leaders were unnecessarily propagating the issue. He said to politicise the issue reflects the shallow thinking on their part as the Congress government shifted Board of School Education to Dharamshala way back in 1984 to Dharamshala and all important offices of Chief Engineers as PWD, IPH, HPSEBL were functioning from Dharamshala. Winter sojourn was started way back in 1994 and the Vidhan Sabha was started from Prayas Bhawan in 2005 before the Vidhan Sabha complex came up. There was a Municipal Corporation and above all Dharamshala had been declared Smart City of Himachal as well, he said. 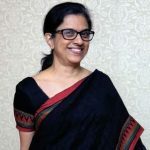 “I am astonished that instead of welcoming this move, even former Chief Minister Shri Shanta Kumar is opposing it though I thought he would have been happy enough”, said the Chief Minister adding that such thinking on his part was rather childish. The Chief Minister said that though the BJP leaders keep boasting of Nationalism but whenever the elections were around the corner, they talk of regionalism to fulfill their self-interest and for their political survival. It was due to instigation of few state BJP leaders that one Union leader was pursuing cases against me, he said. “My single case of income tax was being probed by three investigating agencies, but I know the truth will prevail in the end”, added Shri Virbhadra Singh. He said that now, when few months were remaining for Assembly elections, many leaders for their political survival were adopting cheep tactics to divide the people on basis of region and religion. It was rather disgusting that the BJP leaders could not think beyond the line and still believes in ruling by dividing. “They are to be realised, that dividing never leads to success rather it disintegrates the Nation and the societies”, he said adding that for welfare and development of the Nation, we all need to stand united. Referring to development in the State , he said that today condition of the roads was quite good and the total road length was around 37,000 kilometres. As many as 1730 kilometres new roads and 180 bridges were constructed during last four years. There was no problem of electricity as such and the government had taken a decision not to enhance the electricity tariff for the newly set up industries for at-least five years. A sum of Rs 966 crore was given as subsidy for providing power at cheaper rates to people. He said that even in the social welfare sector, the government had enhanced the social security pension from Rs. 450 to Rs. 650. Those above eighty years of age and widows below age of 45 were being given pension @of Rs.1200 per month. As many as 3,87,000 pensions were being given to the eligible pensioners. The Chief Minister also released an audio CD of Additional Advocate General Shri Vinay Sharma. 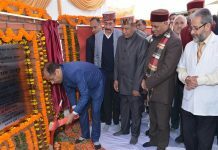 Earlier, Shri Virbhadra Singh inaugurated the Gau Sadan on Kangra bye-pass and laid foundation stone of community hall of Shree Brijeshwari Devi Temple to cost Rs.2.70 crore. He also laid foundation stone of LWSS, Bhadiara to cost Rs. 17.60 crore and foundation stone of LWSS Takipur to cost Rs. 8.70 crore. Urban Development Minister Shri Sudhir Sharma while addressing on the occasion said that it was disappointing that the BJP leaders were criticising the announcement made by the Chief Minister for declaring Dharamshala as the second capital. He said that statement by BJP leaders that the announcement of second capital had been made just for duping the people, was not digestible, even by the people of the district. He said that the issue of Central University was unnecessarily being raked up by the BJP. The government had selected site at Jadrangal near Dharamshala but the BJP was always opposing the same for the reasons best known to them. He thanked one and all present for making the rally a success. He said that the State government had set up ADB sponsored Rs. 640 crore Kaushal Vikas Nigam to give training to the unemployed youth as per the industrial needs in the industries and any other skill. This will make them employable as per needs of the Industries. In the first phase as many as 65 thousand youth would be provided training in selected industrial houses. MLA Shri Pawan Kajal thanked the Chief Minister for declaring Dharamsala as the Second Capital of the State. He also thanked the Chief Minister for giving added attention to Kangra constituency and for undertaking massive development. He also thanked him for laying foundation stone of lift water supply schemes in his constituency. Chief Parliamentary Secretary Shri Jagjivan Pal, MLAs Shri Sanjay Rattan, Shri Yadvinder Goma, Shri Kishori Lal, Chairman, Kangra Central Co-operative Bank Shri Jagdish Sapheiya, Vice-Chairman HP State Forest Corporation Shri Kewal Singh Pathania, former MLA Shri Surinder Kaku, Member BoD, Traders Welfare Board Shri Sandeep Manta were also present on the occasion amongst others.